HCSE Inc. is here to help guide you through San Francisco’s soft story retrofit process and make it as simple and convenient as possible. Step 1.) Notice: The city of San Francisco has sent out notices to all buildings they feel could be subject to soft story issues. If you are unsure whether or not you have received this notice, look for your address here. Step 2.) Screening Form: If you have received the notice, do not hesitate to have your screening form filled out (all screening forms must be filled out by September 15, 2014). Although the deadline has now passed, it is still possible to turn in screening forms to avoid a fee and earthquake hazard plaque on your property. HC structural engineering firm offers an affordable and reliable evaluation of your building where we will fill out, stamp, and sign your screening form in a timely and thorough manner. Here is an example of the Screening Form. Step 3.) Retrofit: If it is deemed that your building requires retrofit, HCSE Inc. is here to provide you with the proper engineering and expertise. 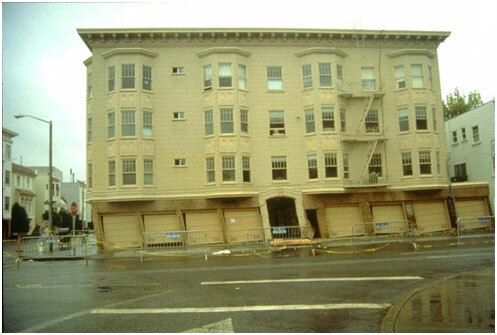 We can measure your building and document the existing conditions, after which we can run an advanced seismic analysis on your structure to determine the proper retrofit required. A stamped and signed set of documents specifying the required retrofit will be drawn up and all proper documentation will be submitted to the city of San Francisco to ensure that your building’s retrofit gets approved and your building becomes a safe and strong structure. • HCSE Inc. ensures that, if hired, they can complete this process within the required timeline given by the city of San Francisco. For more information on the soft story retrofit timeline and program itself, visit the Mandatory SF Soft Story Retrofit Program website. Please don’t hesitate to make HCSE Inc. your first choice for your soft story retrofit needs.